Rhino horn harvesting is a peaceful solution to a poaching crisis: illegal trade in horn results in rhino poaching,while legalized trade offers a rhino-friendly method to provide the horn. It's not the demand for horn that's killing the rhino but the method such demand is supplied. When you know better, you do better. Change the law-Change the future! Rhino Poaching - Stop The Demand! Say NO to trade! Demand reduction campaigns in Vietnam, which are working, coupled with Horn Devaluation by Rhino Rescue Project are the ONLY short to medium term solution we have to save our rhino right now, until the government decides to adopt a zero tolerance attitude towards our poaching crisis. The end users are demanding wild rhino, not farmed rhino. Please do your research and become informed. This kind of information is misleading the public Albina Hume, and I cannot allow you to do that without explaining why your farming methods are so flawed. Pro-traders have asked how the end user will know whether or not a horn is wild or farmed. It is easy to see, a two year old would be able to point it out. A farmed rhino horn has been power-tooled off and has a flat sawn off base. A wild rhino horn has been hacked out of their face with a machete or axe and the entire horn is intact, base and all. For all the naysayers out there who are against Horn Devaluation (for obvious reasons of pushing for trade), Rhino Rescue Project has come a long way since the beginning stages of just infusing the horn with ectoparasiticides and indelible dye. Without going into too much detail, as all this information is available on their website and Facebook page, the method has been improved to include radioactive isotopes. This simply means there there is no ways on earth that a treated horn could possibly get through a security scanner at any of our seaports or airports. As in not one! Anyone who cannot see this process as a solution and still insists on trading in rhino horn, are thereby saying that their motivation is financially driven and really do not have the rhino's wellbeing at heart. Straight up. So Albina Hume, if you are so worried about the welfare of your rhino, my question to you is simply this; why are you not treating your rhino horn with poison, thereby devaluing it to the end user market? If you are so worried about the plight of our rhino as you claim you are, why are you pushing to trade their horn, which would endanger every single "other" rhino, not living on YOUR farm where you can afford to offer them better protection than other less fortunate private rhino owners who cannot? Not to mention our wild rhino who are being poached into oblivion? 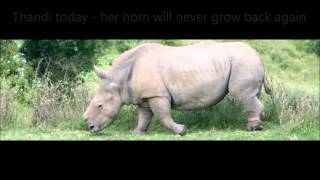 How can you post videos on a forum like this trying to garner support from the North American public who are not aware of all the pitfalls of trade in rhino horn? How do you sleep at night pushing for trade which will drive our iconic heritage into extinction? I have to question your morals regarding this. I quote "Why the law was changed is still huge mistery to me but one day I will find the answer. I suspect that rhino poaching has been designed by NGO's who collect donations on a wildlife crisis; they probably have influenced our goverment or maybe someone from our goverment is INVOLVED with those NGO's. Huge mafia in my opinion, which no one yet investigated. The change of law is the reason for rhino poaching crisis in South Africa!" Let's break that statement down for a minute so that it is fully understood as to what you are saying, I do realize that English is not your first language, but it is pretty clear what you mean. In other words Albina Hume, you are saying that NGO's and those who are anti-trade started the poaching crisis we have in South Africa today. That we employ poachers to hack off rhino's faces for their horn. That the government of South Africa is complicit in this practice with the NGO's, and that we are doing it so that we can ask for donations from the public to make money for ourselves. Are you actually serious Mrs Hume? Like I said to you on a forum on Facebook and will say it again here today, if I were your husband, I would be reining you in, because you don't do him any favours making statements like this in public. I did notice that you very quickly deleted this video off that forum after my comments. But not before I took screenshots of the entire thread. You will learn that besides Google being your friend, that screenshots are your friend too. If you are uncertain as to what screenshots are, Google it. By the way Mrs Hume, your above statement is libelous and could subject you to a lawsuit, if a particular NGO had the time or the inclination to sue you, which we don't because we are too busy trying to save our rhino! I quote " The rhino poaching crisis has started from changes of law made in South Africa and I firmly believe such crisis has been well designed by worldwide NGO's who collect donations on wildlife crisis. They probably created such rumors about curing cancer by using rhino horn, to cover their clever plan. What I see is that since the change of law, where legal trophy hunt and later- legal trade in rhino horn has been banned- we lost over 3200 rhinos to poaching. Yet there are more than ever NGO's who fight hard against legalization of trade in rhino horn in order to keep conditions in place for illegal trade. As for granny from Vientam- who cares??? I care for rhino survival! We simply have no time to try change people's culture who had been using rhino horn for centuries! Rather let them buy legal horn where rhino stays alive or we might end up with stockpiles of legal horn while rhinos gone extict -all poached. If we really care for saving rhinos we should save its life not its horn. Horn grows back." I am going to address the "granny from Vietnam" part of this statement made by you because I want the whole world to see the kind of person you really are Albina. You responded to a question a member of that forum asked you about an end user, who is using the horn as a bogus treatment for cancer, which could have been infused with poison which Rhino Rescue Project had treated and what would happen to that human being should they ingest said poisoned horn. I am so happy to see that the wellbeing of a human is not on the top of your priority list. You should hang your head in shame. I am going to make sure that this statement of yours reaches the Vietnamese public and that they are made aware of your feelings about their health and welfare. Thank you for that Mrs Hume, this indeed is a gem of note. I quote, "I think lots of people are misinformed or deliberately misinform others to pay attention rather on something that not relevant to help the rhino survival- like if the horn is medicine or not. Who cares??? Rhino horn is not medicine but it also not a drug, it doesn't bring harm to humans, so who cares if someone wants to use it? The whole point of the use of horn- if it is legally supplied, where rhino stays alive or was rhino killed for the supply of the horn. That is what matters." Thank you so much for this one too. I am very sure that the end user countries are going to be very interested in discovering, by your own admission, that rhino horn is not medicine. And this from the #1 peddlar of rhino horn in the world! 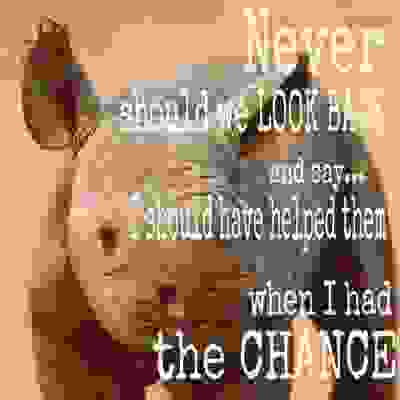 I quote "It’s time to make a change- give a rhino cup of life." A libation cup? Used by Chinese? Made from rhino horn? Way to go marketing your business there Mrs Hume, your mother must be so proud! I quote, "It is very simple, if people are against legalized trade they just support to keep in place conditions for illegal trade, where more rhinos get killed every day. There are few categories of people for such attitude- either they benefit from rhino crisis like poachers and those who give orders to poachers or those who collect donations on rhino crisis and fight against legal trade and rhino breeders, because legalized trade would mean suicide for their business; or people who are misinformed by those who collect donations and fight against rhino breeders and legalized trade; or people who simply uneducated on a subject, yet fight against legalized trade on the emotional side. They rather see rhinos extinct than to be saved; those one are unhappy people." I quote, "Rhino poaching crisis was designed in South Africa after our government was influenced by animal-rights organizations, which resulted in the change of law on 13 Feb. 2009. Legal trade in rhino horn was banned from privately owned rhinos. Result - over 3200 rhinos poached, most of which are from national parks and tourist resorts. It is very clear how privately owned rhinos saved before rhinos in national parks- the national trade in their horn was enough to keep rhinos alive and let them breed well. But since privately owned rhinos are not allowed to supply horn legally to the market- TRADE gets supplied ILLEGALLY by poachers. So YES, those who influenced the change of law are responsible for creating poaching crisis. because they are the one who collect donations on wildlife crisises. They are responsible for creating conditions and monopoly for poachers and they are the one who fight against private ownership of wild animals in South Africa, especially rhinos." Mrs Hume, as this is a public forum, good breeding and decorum prevents me from telling you what I think of your statements, coupled with the fact that I am senior administrator on the biggest anti rhino poaching group on Facebook, who is in fact NOT an NGO, we do NOT collect funds for ourselves and we certainly do NOT earn a living by doing this. I quote, "To survive- rhinos need rhino breeders, yet rhino beggars and rhino poachers do everything in their power to fight us. All your donations just make things worse- look every year more and more rhinos poached. It is proved that donations have not made things better for rhinos- just opposite, more rhinos in South Africa poached than ever before!!! You are responsible with your donations to keep crisis in place! If there is a crisis- there is a donations, if no crisis- no donations." Mrs Hume, if begging the end user countries to stop using rhino horn for a bogus cure for a myriad ailments makes me a beggar, then I carry that mantle with pride. If begging the likes of you and your husband to stop chopping off rhino's horns so you can make a profit makes me a beggar, then I carry that mantle proudly too. I will beg and beg and beg until our rhino are safe in the wild, where they belong! I quote, "Trophy hunting is a very good tool to control populations of species. Some may not like hunting but it is the same as some may not like the abortion women do in order to control human population." Mrs Hume, I am at a total loss for words and am unable to respond in a dignified manner, so I will desist. In closing Mrs Hume, I hope that my response to your video has provided the world with an adequate understanding of your motivations for pushing for the legal trade in rhino horn, which has been internationally banned for obvious reasons since 1976 . By the way, if you would like me to list hundreds of reasons why trade would drive our rhino to extinction, and quote from scientific papers, I am very happy to do that for you. We are never too old to learn when our motivations are driven by altruism. It's about time the pro traders get exposed for who they really are.... Trying to sell a bogus product.. Made of keratin worth north than gold and diamonds, to poor unsuspecting Asians who do not know it won't save their child from cancer ! education and demand reduction the only way to end the slaughter of our rhino, our heritage ! But she doesn't care remember Haley, about the grannies or the kids who have cancer, none of them, she just wants to sell her rhino horn! Their is no moral compass to these people !! We have a moral responsibility while we on this planet to our fellow man, and animals, and all I see in this is exploitation of humans and exploitation of animals by people who only are thinking about lining their own pockets ! Don't be fooled by this pro-trade propaganda. Legalizing trade in rhino horn is only "friendly" to those who stand to reap substantial profits from selling their stockpiles of rhino horn. Legalized trade in parts of this endangered animal is neither ethical nor sustainable. Instead, it will open a floodgate of increased demand for rhino horn as farmed horn becomes affordable to new markets and those who can afford higher prices will continue to pay top dollar for illegally harvested wild horn. This scenario has happened with the farming of other endangered commodities such as tiger bone and bear bile. Not to mention how opening the market for ivory has come close to decimating the world's population of this animal. The solution is simple: when the buying stops, the killing stops. Don't be fooled by this anti trade propaganda above, facts are facts, since the ban on trade was put in place Rhino poaching has exponentially gone up each year, it created a perfect market for criminals, prohibition of anything creates illegal trade and escalated values. The horn is completely renewable and sustainable. The world needs time to change, Asian cultures have been believing what they do for centuries. It's a matter of breeding, and education. Making the locals the custodians of their own natural living heritage, and enabling them to earn from it. In time the Asian culture can be changed, but at the rate the poaching is happening the rhino will be gone. Make it legal and regulate trade, the cartels will quickly lose interest as the value will fall. The rhino does not need to die to fulfill the demand, therefor it can only be saved by selling it's horn and using the money to ensure ongoing safe breeding programs. I can guess who posted this LIE anonymously. 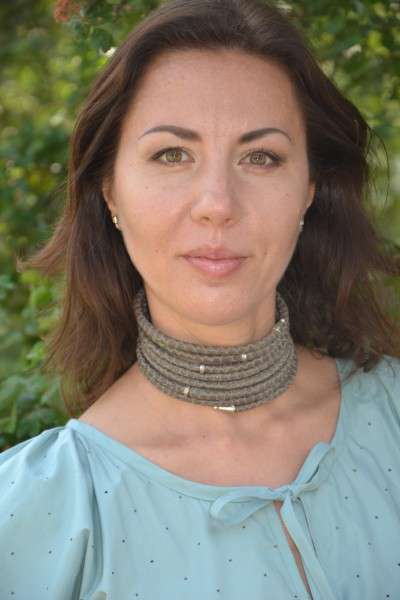 Someone who will PROFIT from the sale, someone like Albina. I find it amazing you can find well researched and well written articles against the trade in horn - yet very few factual or researched articles in favor of trade. Most articles seem to be generated by people whose only goal seems to be for monetary gain. I also believe the energy spent on the pro/anti-trade debate could be far better used in finding ways to reduce and ultimately stop the poaching. Legalised trade is NOT the answer, why would you want to sell a product that has NO medicinal qualities……..it would just perpetuate the myth! How would you know which horns were 'legally' sold and which one's were poached? This is Africa, the biggest problem here is corruption, government people are involved in poaching and the way forward is certainly not to encourage more people to use Rhino horn. If it weren't for Mankind and Human greed these magnificent rhinos would not be in fear for their life and the desecration of their horn! Legal trade won't make any difference to the survival of the Rhino so saying that harvesting will help makes no sense. There have been so many cases of Rhino's still been poached after their horns have been trimmed and they even kill the calves that have no horn. The way forward is to end supply and that can be done if we fight. Just don't accept everything that you read here, do your homework, visit some Rhino sites in Africa mainly The Rhino Orphanage, Surviving the Survivors listen to the stories and see the photos then you make up your mind. I want to see the modern day unicorn still living in the wild where they belong. If we stand together we can make a difference. Legal trade in Rhino horn will make the situation worse not better. The only ones that will benefit from this will be the 'farmers/breeders' not the Rhino that is for sure. Legal trade in Rhino horn will not work. Even de-horned Rhinos are poached for the stub that is left. Rhinos need their horns - humans do not. It is ridiculous to perpetrate the MYTH that Rhino horn has magical medicinal powers when it is nothing but keratin, just like fingernails. The trade must be stopped and people educated. The ancient and magestic Rhinos must be saved! Extinction is forever! It's worth mentioning that alongside most 'legally' traded products e.g. cigarettes, abalone, CD, DVD, clothing, alcohol etc. exists the parallel black market items, and channels - in other words the poaching is unlikely to be stopped - or even reduced, by horn trade. With the escalating costs of security (pro-trade proponents believe this cost would be covered by horn profits), these costs will keep rising as the demand for horn grows, and incidents of crime, and poaching increase with it. Of course, these, and husbandry costs, and the greed factor - will likely to quickly push the price of horn beyond which the syndicates, or poachers would happily (if at all) pay for - at which point (if not before) poaching would resume, and intensify. They poach it for free. As everyone knows, It's business's aim to reduce costs of business - including syndicates, poachers, and generally corrupt. Under this model will exist abuse, and corruption. Captive Rhinos will start disappearing because killing them e.g. hunting is quicker than producing horn. Why would they pay for it? Why would the growing numbers of 'poverty stricken' (read opportunists) poachers pay for it? It makes no sense - and is simply morally wrong to sell a dud product, to wilfully oppose, and undermine demand reduction initiatives and campaigns designed to reduce overall demand and poaching of the world's wildlife - in order to promote and satisfy a dubious, and risky goal such as Rhino horn trade. As it stands, poaching exists because it's free, syndicate bosses are manipulating poor people to supply them product for money that for the syndicate is peanuts, but for poor people is a lot - this is why syndicates and similar would not opt to pay for horn. I also question as to whether certain pro-trade members - within and without our parks e.g. within govt. circles - aren't implicitly involved.. to sacrifice Rhinos, to stall demand reduction efforts in order to fool the public, the world and even Cites - that trade is necessary in order to save our wildlife. Every peaceful and workable solution to stop the poaching is worthy of helping the rhino. For sure! This is a very trite reply from someone who clearly holds those who oppose trade in rhino horn with contempt. You will have to up your game a whole lot more if you are to convince anyone with half a brain that your sole concern is the welfare of rhino. While you are stockpiling the horn of the very rhino you are breeding like cows and sheep, it remains extremely dubious that you are capable of finding a peaceful and workable solution with anyone who disapproves of your practices. That is all. Please do your research about rhino horn harvesting. This is one of the reasons why we have this problem today. BAN all sales of rhino horn. The only thing that needs a rhino horn is a rhino to protect itself. The rate they are being killed (daily) soon there will be no rhinos left. Do not kid yourself they are NOT even safe on private farms, they are still poached and killed for trophy hunting. Corruption is everywhere sadly. Why do you think the Hunting agencies are so wealthy? The ONLY way to end the poaching crisis is to educate people about the utter worthlessness of Rhino horn as medicine. As long as horn is being sold, there will be poaching. There is no way to protect wild Rhino from poachers-and poachers aren't sedating rhino, they are cutting off their faces. Firstly, de horning rhino DOES not deter poaching. See the amount of horn left on the rhino, well that is the heaviest and most valuable part and de-horned rhino have been, and still are, poached for this (seemingly) small part. Secondly, the constant talk of trade is having an adverse effect on the excellent demand elimination work being done in consumer countries. And demand elimination is the only long term solution to stopping poaching - the only way to stop poaching is by changing hearts and minds, by changing habits - and the youth of consumer countries are the key to this. And in the meantime horn treatment should be rolled out across the country's rhino population as horn treatment IS A DETERRENT to poaching - the statistics speak for themselves. Many, but not all, establishments that de-horn their rhino do so because they are banking - literally - on trade being opened in rhino horn. Those who take this attitude see rhino as a 'cash cow', like any other farm animal, as this is what these farmed rhino actually are. These rhino do not appear to behave as wild rhino do - there is no way anyone would stand that close to a wild rhino in Kruger or Mfolozi or any other reserve. These are farm animals - do we want rhino to become like this. NO. Rhino have a horn a for a reason - rather reasons - for defending themselves in confrontations with other animals, for digging for water, for guiding their young, for gathering browse (in the case of the Black rhino), as a sign of prowess in confrontations with competing males. Does one need to go on with reasons why rhino need their horn? Oh yes, because nature gave it a horn - no animal has an appendage that does not serve a purpose. Opening trade will be a complete disaster for the rhino - history tells us this – think elephant ivory, think tigers and more. Do we really want Africa to become a giant farm, supplying animals for South East Asia's constantly evolving, constantly growing market for wild animals? Because this is what will happen if trade is opened. 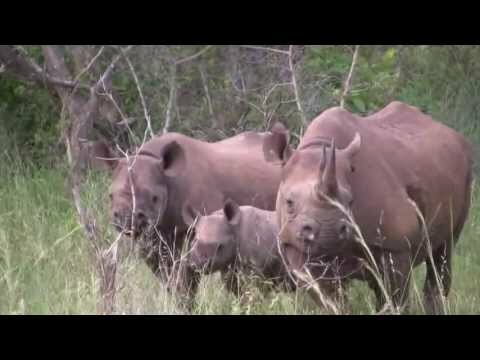 This video, and others from the same source, are just cynical attempst to persuade the unknowing that the people who made this video care about rhinos. They don’t, they only care about the valuable bit on the end of a rhino's nose - - this is all ABOUT MONEY, nothing about the survival of the rhino. There is sooo much wrong with this and I'm amazed that you, Ellen, as a open-minded presenter cannot see it. Apart from the fact that the information is wrong and very biased (as you will see from many many comments on here) the fact that a useless product is being sold to gullible people as a cure-all for certain diseases is morally wrong. Add to that the fact that corrupt and amoral people are getting VERY RICH from this business, and a high proportion of the money from wildlife crime is being used to fund criminal, illegal and terrorizing activities. What are you thinking, allowing such propaganda to air on your channel?